Welcome to the Navy Postal Clerks Association (NPCA) website. In addition to being postal clerks we were also a part of something bigger than most of us could have ever imagined. 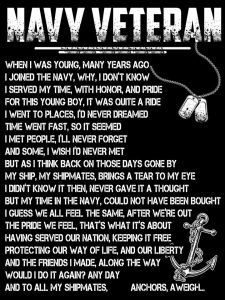 Being a Sailor is special, and I venture to say we are all proud Navy Veterans. Places we have been, people we have met, and adventures along our journey will forever be etched in our minds. The following article is a lead in to this home page. Mail Call – The picture below tells the story of the importance of mail service to our men (and also women) during WWII. Notice the picture only depicts members of the Army, Navy, and Marine Corps. There was no separate Air Force at that time. They were a part of the Army. Email/gmail, Skype, etc., has significantly reduced the amount of correspondence being sent through the mail. However there remains a strong need for quality military postal services. Just ask Sailors aboard ships on deployment and those stationed overseas. This is true for all branches of the Armed Services and the Coast Guard. Important information regarding the NPCA is below the picture. 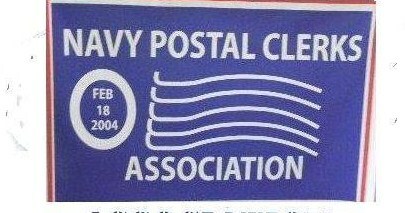 The Navy Postal Clerks Association is for past and present Navy members of the Postal Clerk Rating (established 1960) and their families. Also pre and post PCs that served as Navy Postal Clerks are welcome as are Marine Corps Postal Clerks, and any officer or civilian employee that served in a postal billet. In addition, any member of the Logistics Specialist (LS) Rating who are, or have been assigned to postal duties are eligible to join. Any and all family members of a deceased postal clerk are also welcome to join. The association is made up of former, retired and active men and women of the Navy Postal Service who have been serving the fleet since October 1960, and the Mail Handlers before them. There is a myth that the association is a bunch of old Chiefs. This is not a fact as we have PCSN’s to PCCM’s, serving as little as 2 years to over 30 years, regular Navy as well as reserves. To promote the social welfare of the Navy Postal Clerk community. To conduct programs for charitable and educational purposes. To sponsor or participate in activities patriotic in nature. To provide social and recreational activities for it’s members. Note: For some of our old timers who were also members of Navy Mail Service Veterans Association; in case you are wondering what happen to them, I recently talked to Ken DeMaet and he told that their last reunion in 2014 they only had 6 people so they have disestablished. Abel Quinones was always trying to get them to merge with us, they never would. I have made overtures to them in the last few years also, and they wanted to be independent. Once again if there are any members out there, they are welcome to join the NPCA. The photo gallery is up and running. Members can submit photos related to their postal career. You can upload them to the site under the gallery or send them by email to site: npca@roadrunner.com. Label them so we can identify the individuals. Navy Postal Clerks Association website. I request your support in encouraging more PCs to join the organization. It may take awhile, but I anticipate membership will grow. Hopefully, as a team, we can all improve the organization and add to all the great efforts done in the past, which got us to where we are now. At the Business Meeting held at the 2018 reunion, a motion was made that current officers listed below remain in office for the next two years. The motion was seconded and approved by members. Our next Reunion is scheduled for 2020 in Portland, Oregon. John (Jack) Kaperka and Ron Stevens are hosting the reunion. Recruit a member and get a free year’s membership. 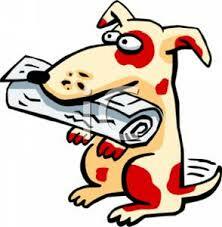 You can contact our Secretary/Treasurer by e-mail at theskinsman@cox.net. Want a Postal Clerk T-Shirt? Hull number,com is selling them. 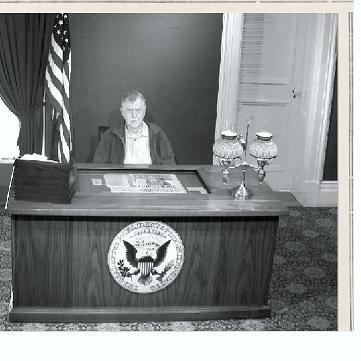 Click on following link or if garbled just cut and paste URL http://www.hullnumber.com/POSTAL_CLERK.php . Any problem with this web site contact the web master Mike Bertalan at NPCA@roadrunner.com And of course you can contact your President Al Hass at hassommno1@aol.com. Information on the upcoming reunion to be held in Portland, Oregon will be posted under the Reunion tab once I have information to share.. Copyright © 2019 Navy Postal Clerk Association. All Rights Reserved. The Magazine Basic Theme by bavotasan.com.